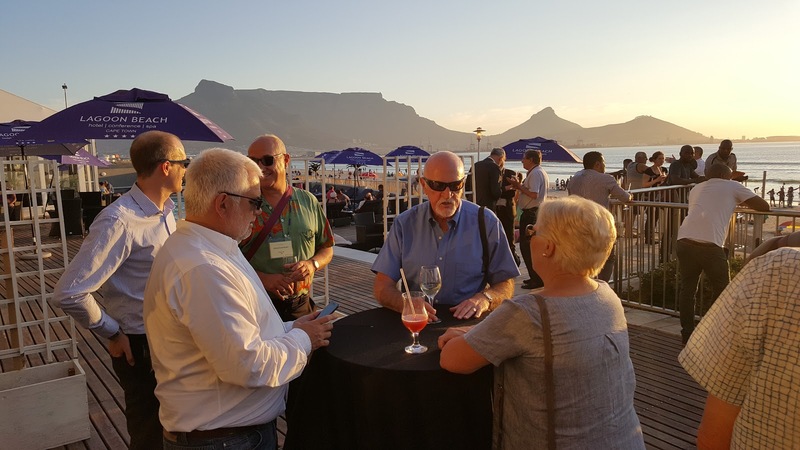 This is a summary of events at Process Mineralogy '17, the 4th in MEI's series of process mineralogy conferences, which was held at the Vineyard Hotel, Cape Town from March 20th-22nd, 2017. I opened the conference this morning, and welcomed the 97 delegates from 21 countries. The fact that numbers are higher than at the previous meeting, Process Mineralogy '14, suggest that things might be looking up in the mining industry. Over the next 3 days we have 50 presentations to look forward to, in oral and poster presentations. I thanked our consultant, Dr. Megan Becker, of the University of Cape Town, and the companies who have provided corporate support. Zeiss, Bruker and FEI are well-known regulars, but we have two new sponsors this year. Wirsam Scientific is one of Africa's leading suppliers of laboratory instrumentation, and the Cornwall Mining Alliance connects Cornwall's unique concentration of innovative businesses, organisations and experienced professionals, some of whom are represented at the conference- MEI, Camborne School of Mines, Grinding Solutions Ltd, and conference sponsor Petrolab. Sustainability was the theme of the three papers leading up to the first extended coffee break. Mineral processing will have a big role to play in the push towards a circular economy, and the first keynote lecture, delivered by Eric Pirard, of the University of Liege, Belgium, showed that in order to develop efficient processes for the recovery of metals from both our primary mines and our urban mines, we will need to innovate in process mineralogy. This was emphasised by Norm Lotter, of Flowsheets Metallurgical Consulting Inc., Canada (see also posting of 21 March) whose first of two papers this morning outlined the business value of best practice process mineralogy, with case studies that demonstrate the tremendous financial value that can be achieved, along with those where costly disasters could have been averted. 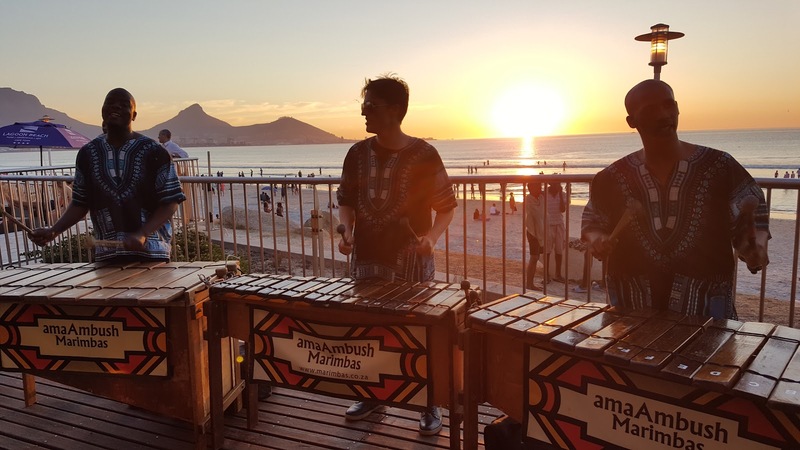 As highlighted by MEI consultant Megan Becker, one of nine representatives from the University of Cape Town, the development of society has been intertwined with the use of minerals over thousands of years. Our modern society is dependent on minerals and metals to sustain it. However, their provision is increasingly precarious as the minerals industry is facing multifaceted threats and challenges arising from all four pillars of sustainability: economic, technical-environmental and social. Underpinning the transformation of this industry is a sound knowledge of mineralogy - from systems level thinking to a fundamental understanding of particle behaviour. Megan discussed the key role that mineralogy plays at the various scales: from individual process units, to circuits, across the value chain (company) including waste streams, the communities surrounding them, regionally and globally. She presented a roadmap, geological as well as urban mining, that can be used to ensure provision of minerals and metals for oursustainable future. After a long coffee break in the exhibition and poster area, Norm Lotter was on the podium again, with one of his pet subjects, sampling, a key tool in modern process mineralogy, which was highlighted by Karin Engström of LKAB, Sweden, who discussed the evaluation of sampling systems in iron ore concentrating and pelletizing processes. The morning session finished with a paper from Pekka Tanskanen of University of Oulu, Finland, who showed how on-line monitoring of spodumene flotation with novel time-resolved Raman Spectroscopy is one of the key issues for increasing profitability. Automated mineralogy has been successfully used in the mining industry since the 1970s. Since that time a variety of companies have developed competing technologies with a range of capabilities, however, with one aspect in common in that they are all based on an electron beam (e-beam) system (e.g. scanning electron microscope (SEM) with energy dispersive spectrometers (EDS)). Recent technological advancements mean it is now possible to focus X-rays to a spot size of less than 20 micrometers. Accordingly, it is possible to operate a Micro-XRF system using similar parameters as an e-beam system and thus yield results compatible with automated mineralogical analysis. Sam Scheller, of Bruker Nano GmbH Germany, presented various case studies comparing the automated mineral results of the two systems, as well as discussing the various advantages and limitations of each technique. Igor Tonžetic of Sci-Ba Laboratories, South Africa, also discussed the advantages of the energing Micro-XRF technology. Traditionally quality control in mining industries has relied on time consuming wet chemistry or the analysis of the elemental composition. The mineralogy that defines the physical properties is often monitored infrequently, if at all. 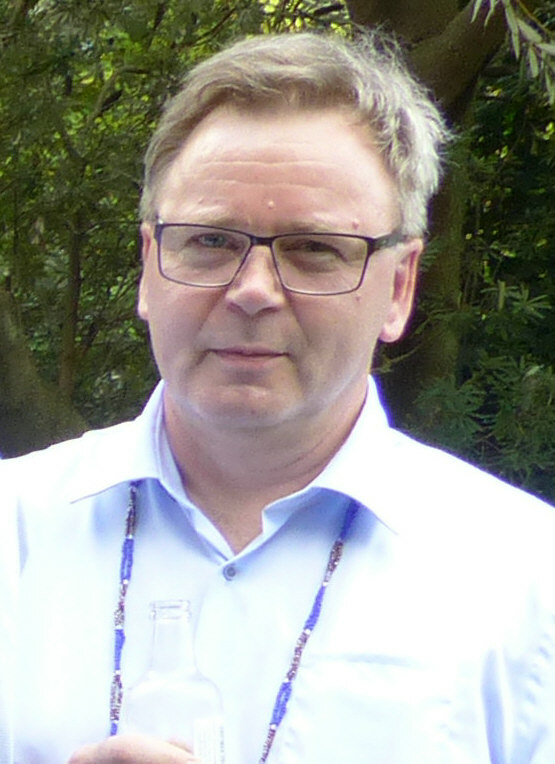 Uwe König, of PANalytical B.V., The Netherlands, showed how the use of statistical techniques such as Partial Least Square Regression (PLSR) or Principal Component Analysis (PCA) on XRD raw data has been successfully trialled to determine raw materials and processed ores in addition to well established methods for mineral identification and quantification. With the impetus for less reliance on fossil fuels and cleaner environments, the ability to be able to economically extract lithium used in rechargeable batteries for portable electronic devices from ores is essential. However a comprehensive understanding of the deportment of lithium and associated minerals in some ore bodies is limited. Mark Aylmore of Curtin University, Australia, discussed the applications of advanced analytical and mass spectrometry techniques to the characterisation of micaceous lithium bearing ores using a Tescan integrated mineral analyser. The final paper of the day highlighted the environmental impact of mine exploitation, Aurélie Chopard of UQAT, Canada, describing an early predictive methodology for acid mine drainage based on ore mineralogy and contaminant speciation. Then after an excellent first day we all headed into the beautiful gardens of the Vineyard Hotel to relax and enjoy the 'Happy Hour' (see also posting of 20th March). Geometallurgy played a large part in this morning's session. Geometallurgy is the science of integrating geology and mineralogy with mineral processing and extraction, and is now commonly practiced but it is not yet truly embedded or “mainstream”, as discussed by Steve Williams of Pasinex Resources Ltd, Canada in his keynote lecture, in which he identified areas that geometallurgy must overcome in order to “go mainstream”. Two papers from Brazil and Norway took us up to the coffee break. Henrique Kahn of University of Sao Paulo, Brazil presented a geometallurgical study on a disseminated Ni and Cu sulfide ore, and Camilo Mena Silva of the Norwegian University of Science and Technology described a project attempting to implement the geometallurgical concept into the Norwegian mining industry, mainly dominated by industrial mineral operations. 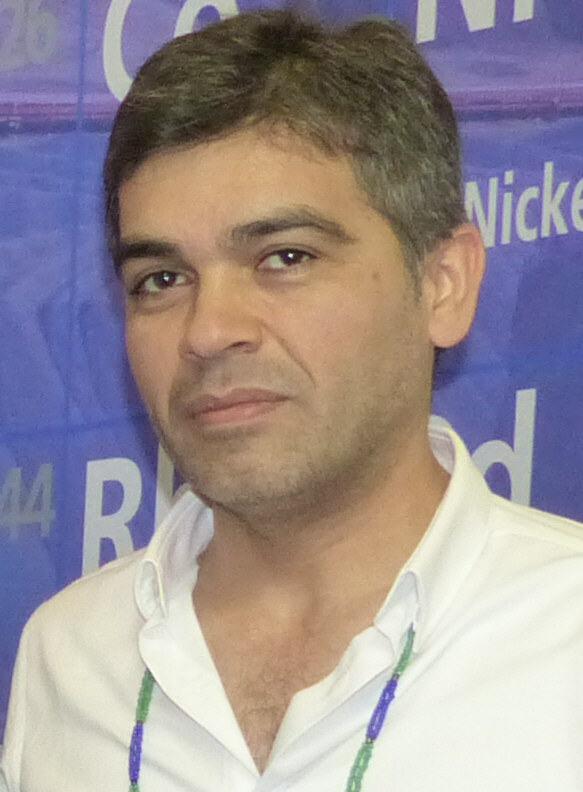 Andrew Menzies, of the Universidad Católica del Norte, Chile, said that automated mineralogy has been used successfully in the copper mining industry in northern Chile for over a decade. This has been primarily for mineral processing associated with the large Cu-porphyry mines (e.g. Escondida). However "exotic" Cu deposits are also of significant importance, but the application of automated mineralogy is complicated by the abundance of Black-Cu and Green-Cu, these “mineral groups” being difficult to classify due to their variable nature, inconsistent geochemistry and impurities, often very fine grained textures and deposition. He described how these difficulties may be overcome. The Chelopech epithermal arsenic bearing high-sulfidation, copper-gold deposit is located in the Panagyurishte ore district in Bulgaria and is often considered as the richest European gold deposit. The processing plant treats about 2 Mt of ore per year, with an average head grade of 0.95 % Cu and 3.09 g/t of gold. 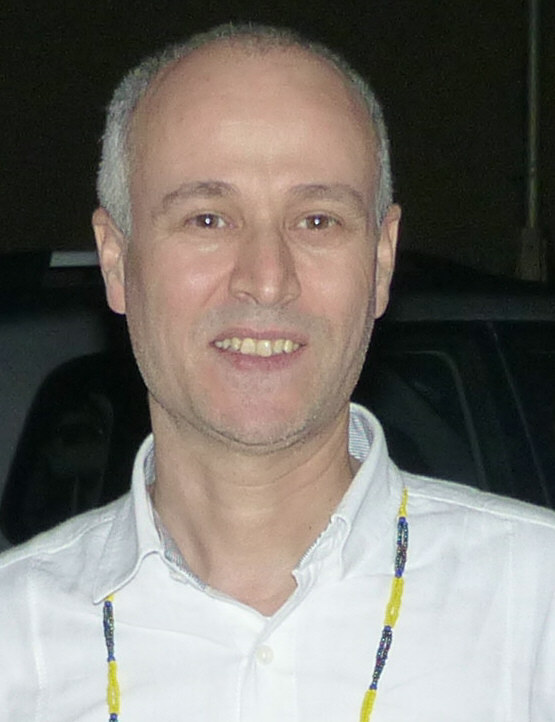 Hassan Bouzahzah, of the University of Liege, Belgium, showed how a detailed knowledge of the mineralogy was vital in attaining effective copper selective flotation. 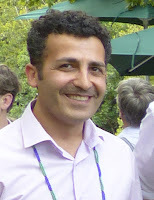 The Drakelands tungsten-tin mine in Devon, UK, officially opened in September 2015 (posting of 17 September 2015), and Yousef Ghorbani, of Camborne School of Mines, UK, summarised the work to characterise the deportment of tungsten bearing minerals within the spiral concentrator circuit, the aim being to assess circuit performance and inform future processing with respect to any changes to feed mineralogy. Industrial minerals play an important role in the Norwegian mining industry and Aleksandra Lang, of the Norwegian University of Science and Technology, showed how mineral characterization is an important tool in the implementation of geometallurgy into industrial mineral mining. In the final paper of the morning Gerald van den Boogart, of the Helmholtz Institute Freiberg for Resource Technology, Germany, discussed the valuation of uncertainty in geometallurgical process optimisation. Geometallurgical parameters such as block models and process response models always come with a certain (geo-) statistical uncertainty. Geometallurgical optimisation often treats these model values as if they were certain, and Gerald demonstrated, with easy to understand model examples, the economic effect of ignoring the uncertainty. The afternoon session provided an eclectic mix of papers from Germany, Zambia, UK and South Africa. Philipp Büttner of the Helmholtz Institute Freiberg for Resource Technology, Germany described the modelling of combined processing parameters for tailing material based on Mineral Liberation Analysis data, and Sithembiso Ntlhabane, of the University of Cape Town, discussed the numerous multifaceted challenges facing the minerals industry, spanning the techno-economic, environmental and social spheres. The adoption of sustainability thinking is a holistic approach to addressing these challenges and their relative interactions, rather than just focusing on individual issues. The ability to do so requires an integrated modelling framework that incorporates mineralogy, so that the effect of ore complexity and variability on one or more of these factors can be simultaneously evaluated and optimised. Sithembiso demonstrated how an integrated modelling framework can contribute in achieving some of the sustainability principles, providing a conceptual starting point for a new approach to traditional process mineralogy studies. ﻿﻿Monica Kalichini, formerly with First Quantum Minerals, Zambia, now with Bisha Mining Share Company, Eritrea, outlined the journey of setting up such a program; determining the mineralogical information most relevant to the Kansanshi processing plant, selection of the most suitable technology, installation, challenges encountered during implementation and the value of the data generated through the program to plant metallurgists and operators. Zambia's Kansanshi Cu-Au deposit is host to a complex suite of both sulphide and oxide copper minerals. To efficiently recover copper, the process plant treats three ore types: oxide, mixed (transition) and sulphide ore. Recoveries across the process vary from 30 % copper to concentrate on the oxide flotation circuit, to 95 % on the sulphide flotation circuit. Additionally, copper is extracted through separate atmospheric and high pressure leaching hydro metallurgical circuits. The complex nature of the ore and basis of multi-stream processing makes the Kansanshi Mine an excellent candidate to generate significant value from a well-structured routine operational mineralogy program. Ongoing developments in SEM and EDS technology present major opportunities for improvements in data quality, throughput and ease of use. As these developments are released, it is essential that users are able to quickly learn, calibrate, setup and run the systems that they are operating. Furthermore, reports must be able to be quickly generated after the completion of an automated run. Matt Hiscock, of Oxford Instruments NanoAnalysis, UK, highlighted recent improvements and developments in this field, and James Strongman, of iMin Solutions Ltd, UK, discussed the central challenge with automated mineralogy tools, of applying them in operational contexts with their often long run times, complexity and single point data sets of intricate systems. Operational mineralogy is the next stage in the development of automated mineralogy with on-site analysis, faster turnarounds and streamlined mineralogical trend analysis monitoring the health and quality of the feed and process plant. However, in order for operational mineralogy to be a viable mine-site option several factors need to be optimised, including sample preparation, sample analysis and data interpretation, and James reviewed the optimisation of sample analysis and, in particular, different case studies that it can be applied to. A year ago James's company, conference sponsor Petrolab, teamed up with Australian company MinAssist to form iMin Solutions Ltd, with the aim of bringing greater mineralogical capability directly to the mine site and mineral processing plant (MEI Online). iMin Solutions is also teamed up with conference sponsor ZEISS, MinAssist working with ZEISS to provide end to end data interpretation and analytical solutions for mine sites, and Petrolab developing technology specifically for automated mineralogy based applications on the mine site and in the laboratory (posting of September 10th 2015). And so the end of another long and rewarding day, this time with a chance to get away in the evening and enjoy dinner and entertainment at Cape Town's Lagoon Beach Hotel (see also posting of 21st March). It is good to have Jan Miller, of the University of Utah, USA, back with us. His travel to Cape Town was kindly funded by sponsor Zeiss. He presented a keynote lecture at Process Mineralogy '12 on the development of X-ray computed tomography, and in his keynote this morning he continued with that theme, reviewing recent advances in X-ray tomography in mineral processing, such as high speed scanning and image analysis procedures to describe particle size, shape, and composition, and the possibility for plant-site X-ray tomographic analysis. X-ray computed tomography is a non-destructive analytical technique that relies on the penetration of X-rays to provide mineralogical and textural information. Implicit in this is the assumption that X-rays can effectively penetrate materials being analysed. However, X-ray penetration is a function of density and thickness, implying that the combination of mineral density and mineral proportions invariably inhibit X-ray penetration. In the second presentation of the morning Lunga Bam, of Stellenbosch University, South Africa, discussed the challenges with iron ore analysis, where the high average density of common iron minerals and the high grade of most iron ore deposits impacts the effectiveness of XCT as an analytical tool for texture and mineralogy. Lunga explored means of optimizing XCT analysis for process mineralogy applications by taking into consideration the ore grade, sample geometry and XCT system configurations. The Hannukainen Iron-Oxide-Copper-Gold deposit is located in northern Finland and consists of the Hannukainen deposit and its northern extension, the Kuervitikko deposit. Geochemical assessment of high sulfur potentially acid-forming waste rock has included kinetic humidity cell tests (HCTs) lasting >200 weeks. The onset of acid generation exhibits a considerable lag time which is hypothesized to be caused by the coarse crystallinity of sulfide minerals and a subsequent low oxidation rate. In order to understand the relative importance of the textural controls on acid generation, Chris Brough, of Petrolab Ltd, UK, showed how pre-leach HCT material was subjected to quantitative 2D Zeiss Mineralogic and 3D micro-CT liberation analysis. The results assess the stereological bias of 2D liberation analysis in HCTs along with the pyrite-pyrrhotite distinction in micro-CT analysis. After the coffee break Kate Tungpalan, of the University of the Philippines, discussed the role of vein-type mineralisation in mineral liberation, and Pierre-Henri Koch, of Luleå University of Technology, Sweden, showed that in geometallurgy a process model operating at the mineral liberation level needs quantitative textural information from the ore, the use of this information for process modeling and simulation increasing the quality of the predictions. Sarbast Hamid, of the Universitat Politècnica de Catalunya Barcelona Tech, Spain, gave an overview of the modelling of the liberation of scheelite, and Eetu-Pekka Heikkinen, of the University of Oulu, Finland, described a mineralogical study to determine agglomeration free heat treatment conditions for spodumene concentrate. In the final paper of the morning, University of Cape Town's Theo Dzingai discussed the effect of phyllosilicates in the processing of Zimbabwe's Great Dyke PGE ores, showing the relative contribution of the different phyllosilicate minerals to processing challenges, and the potential opportunities to manage them. And so on to the final session of the conference, with the first paper of the afternoon presented by Abraham Rozendaal, of Stellenbosch University, South Africa, who discussed grade and product quality control by micro-CT scanning of the Namakwa Sands Ti-Zr placer deposit West Coast, South Africa. The Namakwa Sands operation is a world class producer of zircon, rutile and ilmenite from mainly unconsolidated marine and dune sands. The high density contrast between the economic minerals, as well as the diverse gangue mineralogy, allows the use of micro-CT Scanning as a tool to, for example, quantify zircon grain size, concentration and intergrowths in the primary ore, intermediate stages of the separation process and purity of final saleable product. Marius Kern, of Helmholtz Institute Freiberg for Resource Technology, Germany, described the development of a method to determine the deportment of major elements and Sn of a mineralogically complex and fine-grained skarn ore, using Mineral Liberation Analysis (MLA) and electron probe microanalysis. The method allows the quantification of Sn mineral abundances and their Sn contents and qualifies for monitoring future processing experiments and production control. Similar approaches may well be considered for other mineralogically complex ores containing a multitude of ore minerals. Two papers dealt with rare earth element (REE) treatment. 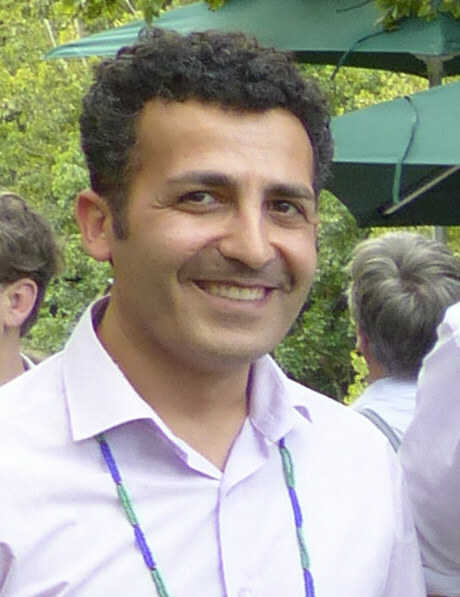 Mohamed Edahbi, of UQAT, Canada, discussed a mineralogical and geochemical study of REE from the Montviel carbonatite deposit in Quebec and Desh Chetty, of Mintek, South Africa, presented results of mineralogical studies to develop a novel approach for the extraction of rare earth elements from ferruginised REE ores. 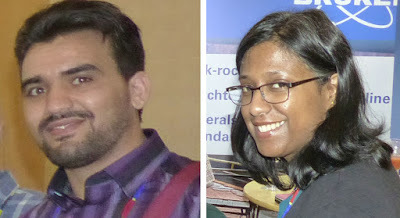 Finally two papers from the University of Tasmania, originally scheduled for Monday, but husband and wife Nathan Fox and Anita Parbhakar-Fox were severely delayed on their long flights from Tasmania, via Melbourne, Singapore and Johannesburg. Nathan described the use of microanalytical techniques for characterising critical metal deportment in mine materials, and Anita discussed improved mine-waste characterisation through blended testwork. 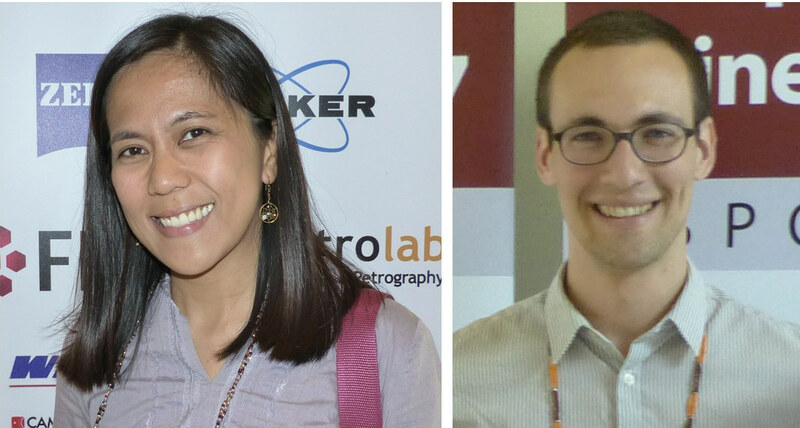 MEI's process mineralogy consultant, Megan Becker, then summarised the meeting, and presented Kate Tungpalan and Pierre-Henri Koch with copies of the new volume Process Mineralogy (posting of 22nd March) for best student presentations. MEI's Amanda Wills closed the conference, thanking the sponsors, chairmen, authors and delegates, and made the first annoucement for Process Mineralogy '18, which will be held in November next year in a completely new venue and country, Cancun in Mexico. There will be more news of this on MEI Online soon. Finally we adjourned into the Vineyard Gardens again for a farewell wine reception See also posting of 22nd March). As in previous years, this has been a most rewarding event, and it is still ongoing- all the authors have been invited to submit final papers to Minerals Engineering journal for peer-review, and those accepted will be published in a special issue of the journal early next year. The draft papers from the conference are available from MEI Online. Thanks for the brief summary. I look forward to seeing the publication of these papers. It's great to see the international participation and types of activities. This was the best Process Mineralogy conference in the series so far. The papers were a good balnce of topics and were well-presented. And the business network was productive. This has become a "must attend" for practitioners and operations managers alike. It was an interesting and very informative conference, in fact it exceeded my expectation! 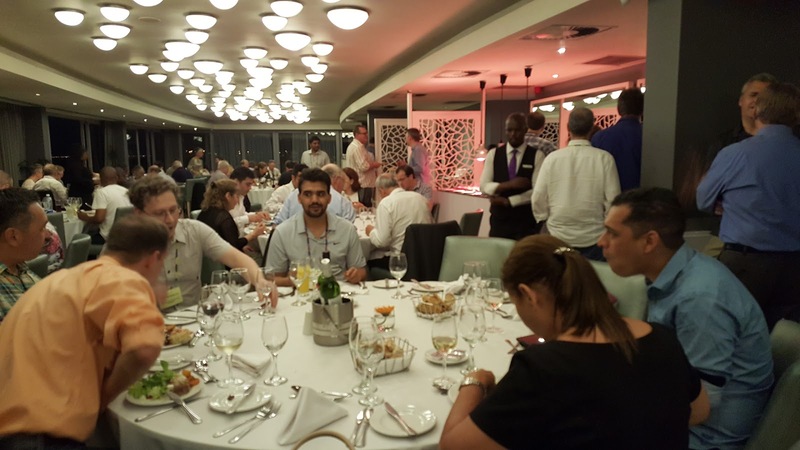 Aside from the opportunity to learn from the presentations, there was also sufficient time for networking or simply to catch up with other participants. Thank you MEI for organizing and congratulations. I am so happy to read the summary;process mineralogy got its due importance and in addition all other related aspects were also discussed. While this was my first time attending I cannot compare to previous meetings but I agree with Norm Lotter's comments. Very well done and I found the content and quality to be excellent. 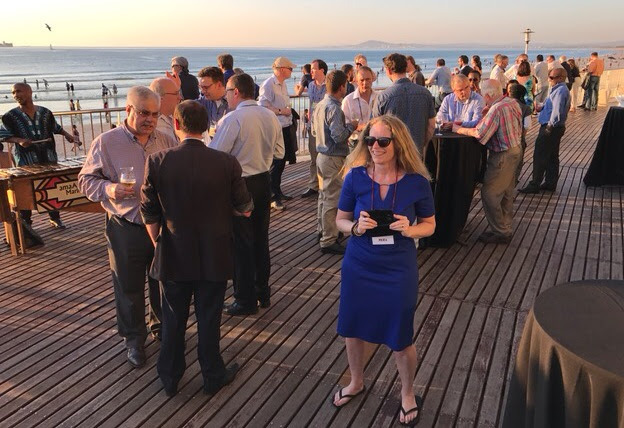 I thought the pacing of the presentations and breaks for coffer and lunch were perfect and there was plenty of opportunity for networking across a variety of delegates with a wide range of experience and perspective. The talks on using Process Mineralogy to solve day to day metallurgical problems at operations were very encouraging. Our industry has a lot to gain from taking on this approach. The uncovered value reported by these presenters make the business case for investing in equipment and personnel to do on-site Process Mineralogy almost a "no-brainer" :). I am looking forward to attending Process Mineralogy 18 in Cancun. Also a big thanks to Barry for agreeing to allow including my poster on "A Prototype MR (Magnetic Resonance) Slurry Analyzer for on-line Chalcopyrite Analysis" at the last minute as I had only spoken to Barry at the SME meeting in Denver a few weeks earlier about this topic. Such flexibility on the part of MEI provides opportunities to bring the most recent developments to the attention of conference delegates. Many thanks for this Tom. Really good to have you involved and so glad that we met in Denver to discuss your proposed poster- highlighting once more the benefits of networking at conferences! I would like to congratulate you for the excellent conference organization. This is the first time I have participated and I was able to discuss a lot with other colleagues about my work. The organization was very receptive and pleasing. I hope to attend at other times. Thank you for this great Conference Summary. I really enjoyed meeting all the AutoSEM operators and listening to all of the Process Mineralogy developments from around the world.